Ben McCown joined KRG Capital in 2006 as an Associate and was promoted to Vice President in 2012 and Principal in 2016. 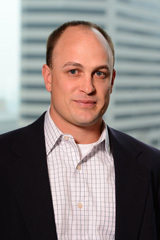 McCown serves as a key deal team member for several of the Firm’s portfolio companies. Prior to joining KRG Capital, McCown worked as an Investment Banking analyst in New York for Peter J. Solomon Company where he worked on a number of merger and acquisitions and restructuring assignments. McCown earned a Bachelor of Arts degree in Economics from the University of Chicago.